Is the President Safe from Assassination with Bongbong Marcos as VP? 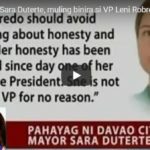 Bongbong Marcos already anticipated even before the election 2016 that the life of President Rodrigo Du30 is safer from assassination with him as his Vice President. This is because their common enemies aim for him not to become President. The current series of events are falling into one place. This is in line with Marcos’ previous analysis. The desperate need for the Liberal Party to regain their lost power can be the reason why they want to get rid of the President – so that their VP player can take over. 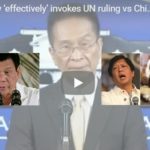 [VIDEO]: Hindi raw binabale wala ng Philippine National Police ang umanoy mga banta sa buhay ni Pangulong Duterte maging lokal man o mula sa International Community. 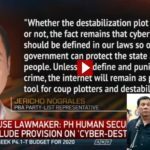 No information has reached the PNP yet with the alleged death threat from the CIA. 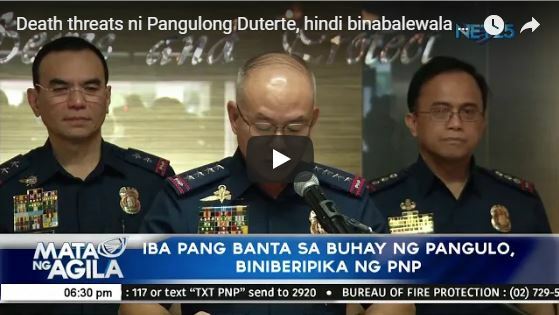 This is according to PNP Chief Director General Oscar Albayalde. Du30 have also claimed before that the CIA wanted his death with countries like China, Indonesia, Israel and Russia watching. It is no secret that President Du30 wants Bongbong Marcos to succeed him despite not being in the line of succession currently. Marcos’ poll protest is still ongoing, however. If the Supreme Court declares him the winner then he would be the direct successor of the presidency. 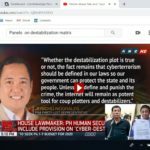 Quoting the yellow media; “By announcing his preference, is Du30 trying to influence the PETSC on the PET or the Supreme Court on Marcos’ electoral protest? Can this also be a signal for the PET to rush Bongbong Marcos’ winning his protest?” This seems to show that the yellow faction is getting paranoid about their oncoming defeat. The opposition seems to be protecting possible assassination threats. 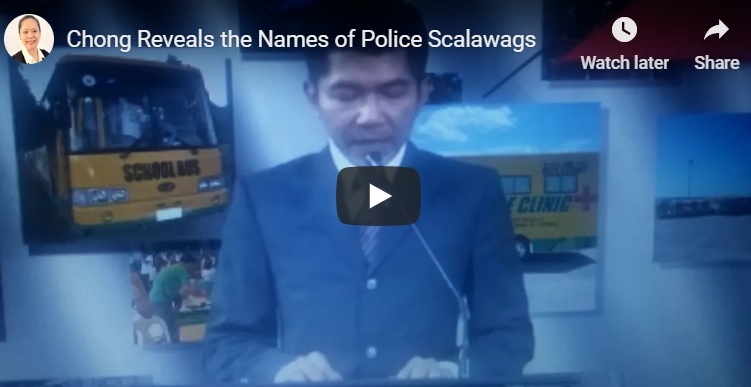 These threats could be from Illegal Drug Syndicates, Rebels, or other criminals. Defending outlaws equates supporting them. President Du30 have been blamed by the LP stalwarts for the casualties his police operations he ordered. If ever there would be an assassination attempt, it may not be a surprise if they turn out to be linked to it. Some LP loyalists even call it a divine intervention to possibly stop the take-over of Bongbong Marcos. The yellows are now under pressure since the appointment of a pro-Marcos Supreme Court Chief Justice, Teresita de Castro.